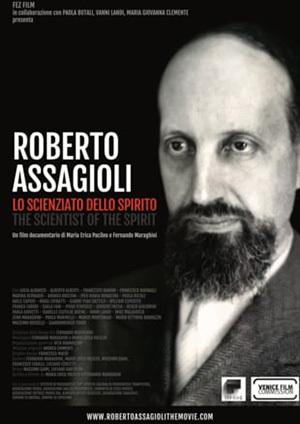 In this paper Assagioli gives insights to the importance of evoking and developing cheerfulness. It opens the door to joy and is a good way to deliberately change the psychological states. This subject may occasion some surprise and make the reader wonder how cheerfulness, which is a state of mind, or inner attitude, can be considered a “technique.” I hope to show that cheerfulness can indeed be a technique or, more precisely, can be stimulated, developed and maintained by means of psychological exercises. How greatly it is needed, especially nowadays! This subject has a direct connection with that of the Will. The last remark requires a clarification. It may be objected that cheerfulness is a state of mind which one either has or has not; it cannot be artificially generated by means of the will. This objection raises the whole problem of the relationships between the will and the other psychological functions and activities in general, and with the emotions and feelings in particular. It is true that a change in a state of mind cannot be brought about by a direct imposition of the will. A peremptory and repressive imposition of the will is apt to arouse contrary reactions and fail in its purpose. This is the error of authoritarian moralists and educators who use methods based on prohibitions, threats, condemnation and punishment. 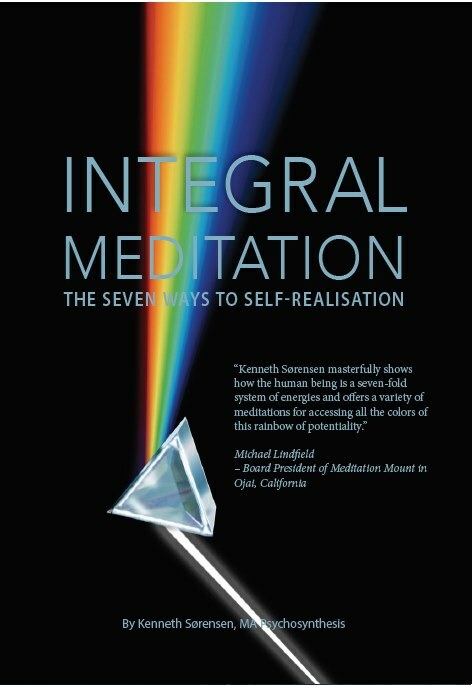 In contrast, the application of appropriate psychological techniques, guided by an enlightened and skillful will, can act powerfully on all the psychological functions and can change the bent of a state of mind. I shall endeavour to demon­strate this in regard to cheerfulness. A theoretical definition of cheerfulness is unnecessary. Everyone knows, more or less, what it is. Besides, in the psychological field definitions serve little purpose, since knowledge of psychological facts is principally arrived at through direct experience. On the other hand, it may be helpful to indicate some of the characteristics of cheerfulness and comment briefly on its associations with other states of mind and inner activities. Cheerfulness has close links and affinities with humour. I have spoken about the nature of humour and its uses in the monograph, Smiling Wisdom. Speaking playfully, one may call cheerfulness a “younger brother” of humour: one tends to arouse the other and encourage its appearance. But they are quite different, as is revealed by the fact that there can be humour without cheerfulness and cheerfulness devoid of humour. The latter can be satirical, ironical, sometimes even biting. Cheerfulness, by contrast; is serene, good natured, and smiling. Similarly, cheerfulness can be considered joy’s younger brother. Cheerfulness opens the way to joy and promotes its manifestations. Conversely, joy includes the state of mind which is cheerfulness. (I shall refer to this later when dealing with Franciscan joy). Again, cheerfulness has close associations with play. Play promotes cheerfulness and this in turn encourages play. Let us now examine the practical issue: how can cheerfulness be stimulated, cultivated and maintained? There are two groups of methods. In one group are the techniques for eliminating the obstacles to its expression; in the other, those which aim at evoking it directly. Irritation constitutes one of the major obstacles. But fighting irritation with an intervention of the will does not work or, if it does succeed momentarily, can have harmful effects and produce violent reactions. The most direct way to eliminate irritation, and the hostility and aggressive impulse associated with it, is to discharge it by means of harmless activities having a symbolic meaning: such as wood-splitting, tearing up newspapers and the like, thumping a bed or punching a ball. A more reliable and I would say cultivated way of doing this is that described in a recent Reader’s Digest article by A. and S. Mydans, But What Sort of People Are These Japanese? Another way of discharging irritation is to write recriminating, critical, even abusive letters to people who have aroused our hostility, and then not mail them. All these ways are effective because symbolic satisfactions are as gratifying as real ones. The method used in Japan has an additional value in that it allows irritation and hostility towards ourselves to surface and then discharge them. This has real importance since an associated, unconscious mechanism can easily inflict self-punishment that may develop extreme forms. It is, in reality, a question of reactions against a part of ourselves which we should like to be without. To objectify it in a dummy is a good way of achieving freedom from it. An effective manner of achieving an attitude of non-reaction, both external and inner, towards those who are hostile, or who are regarded as enemies, is to recognize how useful they are. As Inayat Khan has said: “My friends send me to sleep, my enemies keep me awake.” Adler was a psychotherapist who devoted himself particular1y to the promotion of right human relations by means of eliminating hostile self-assertion. He wrote these fine words: “My enemies have always blessed me. When they don’t fight my ideas they go away with them and claim they are theirs, but in this way they give them wider dissemination. Whether what I believe I have discovered is called Freudian or not, is of no concern to me. I believe it to be true and of permanent usefulness to humanity and that makes me happy.” So let us then recognize the utility of “enemies.” Besides, animosity takes two; if someone is my enemy and I am not his enemy, there is no animosity. Among other obstacles to cheerfulness, not for all but for many, is attachment to sadness, a finding satisfaction in sadness. Apart from personal causes of this form of rejection of cheerfulness, there are a number of shared or cultural causes which must be clearly seen if they are to be removed. One is a philosophical negativism which conceives of man as alienated, as the victim of outside forces, as doomed to suffering and as doing right when he suffers more, thereby acknowledging with dear eyes, his wretched state. According to this line of reasoning, since suffering is man’s lot, self-conscious suffering is the most heroic and intellectually honest way to conduct one’s life. The advocation of such a position is based on certain assumptions which; while erroneous, are conceived to be axiomatic. Fortunately, however, such mistaken lines of thought are passing out of currency as more and more people begin to see the existence of a natural communion between man and various aspects of reality: I refer to a range of trends from the ecology movement on the one hand to the interest in Eastern religions on the other. As far as man’s own conception of himself, humanistic psychology and the more positive varieties of existentialism ‘are helping to open man’s perspective to the positive and creative forces within him. At this point it is fair to recognize that, as with all other good qualities, cheerfulness can be overdone and inappropriate. Life holds serious situations, heavy suffering, human problems, individual and collective, which cheerfulness cannot solve. They must be considered and faced with due earnestness, but such earnestness should be reserved only for them. We are apt to take so many things seriously which do not warrant it. We fritter away, so to speak, our capital of seriousness so that there is not enough for the truly important things. So the rule is: Seriousness in everything that deserves and demands it, and for the rest, cheerfulness. We come now to the active techniques for the development of cheerfulness. The general method is to cultivate the states of mind and feeling which are the antithesis of those which block it, and also to encourage those which directly express it. As in the case of all other qualities which we desire to develop, it is a matter of opening oneself to influences which emanate the desired qualities. Just as we can expose ourselves to beneficial physical influences, air, sunlight, ultraviolet rays, etc., so we may and should open ourselves intentionally to beneficial psychological and spiritual forces. There are numerous ways of doing this. The simplest and easiest is to read appropriate books or listen to appropriate music. There are plenty of books which are likely to evoke cheerfulness, among them P. G. Wodehouse’s novels, full of pungent but good-natured humour. The author plays on the comic aspects, the weakness and stupidity of a wide range of characters in the “human comedy.” With smiling impartiality, he makes peers and commoners, girls and young men in love, artists and intellectuals, editors and gangsters, English, American, French, take the stage. Particular mention should be made of Leave it to Smith, in which the hero circulates among those characters with perpetual good-humour and cleverly extricates himself from a series of difficult and complicated situations. Smith is probably an idealized model of the author. In some humorists of greater stature, there is a strong strain of biting satire, as in Swift, or a sense of compassion, as in Manzoni’s I Promessi Sposi, * while in others the satire remains good­humoured and smiling, as in Horace’s works. In the sphere of music, vivacity and serenity are constant features of Haydn’s works, while the fun which Wagner makes in Die Meister Singer of academic music-makers is really diverting. But perhaps the masterpiece of musical humour is Rossini’s Barber of Seville. Figaro’s self-glorification is irresistibly cheering. At a more modest level, there is no lack of songs to “smooth the furrowed brow” and bring a smile to pursed lips. Such pieces are a good antidote in moments of depression, irritation or ill humour. Another technique, as effective as it is simple and easy to perform, involves the use of Evocative Words. It makes use of a series of cards, each printed with the name of a positive good quality. These cards, exhibited in positions easily accessible to a person’s glance, tend to evoke in him the corresponding qualities. Phrases, aphorisms and appropriate pictures can be used for the same purpose. (2) There is another established Psychosynthesis Exercise by which cheerfulness can be directly evoked and methodically cultivated. In the Exercise for Evoking Serenity, cheerfulness can be substituted for serenity. Thus modified, a description of this exercise is appended at the end of this text. But the fundamental method of neutralizing both rebellion and self-pity is acceptance, Not a passive acceptance or resigned submission, but an initial acceptance, followed by the accomplishment of what is possible-if and when it is-to alter the situation. A good example: An old man was always cheerful in spite of the many troubles he had experienced. His reply to those who asked him how he managed to keep cheerful and calm was: “I’ve learnt to collaborate with the in­evitable.” What wisdom there is in those words! An expression somewhat ingenuous but fundamentally apt, is attributed to a disciple of Emerson who went to him one day and announced: “I accept the universe”. Emerson looked at her for a moment and replied: “You’d better! “. This leads to a consideration of Franciscan joy. Although St. Francis suffered much, he was happy and encouraged happiness in his friars. He used to tell them that they must be “God’s jesters,” in order to draw souls to God. In fact, joy, gladness, and cheerfulness are magnetic. A significant episode in the life of St. Francis tells how, when he was seeking a place in which to establish a monastery, he came to Chiusi in Tuscany. He gave a sermon at the residence of Orlando, Count of Chiusi, on the theme: “So great is the Good which I am expecting that every pain to me is joyous.” His speech made such an impression that Count Orlando offered him the Mount of La Verna for his purpose. This led to the construction of what is today a Franciscan shrine second only in importance to Assisi. Another method of cultivating serene cheerfulness involves the recognition of the relative nature of an event, the appreciation that happenings often have effects unforeseen and even contrary to what they momentarily appear to be. This is highlighted in a Chinese parable quoted by Lin Yutang in his book, The Importance of Living: One day an old peasant lying with his son on the top of a hill lost his horse. His neighbors sympathized with him over his unfortunate event, but he replied:: “How can you tell if it is a misfortune?” Some days later his horse returned leading a number of other horses. The neighbors now wanted to congratulate him on this stroke of good fortune. Also this time the old man replied: “How can you tell if it is a stroke of luck?” The son started to ride these horses and one day broke a leg. The old man’s response to his neighbors’ condolence this time was: “How do you know it is a misfortune?” A little later war broke out, and the son, being disabled, avoided having to take part in it. Let us always bear this relativity in mind. I should now speak of the applications of cheerfulness, but I can do so only briefly. In psychotherapy cheerfulness has a broad range of applications, since a large part of psychosomatic and psychological disturbances have their roots in the causes I have been discussing: irritation, resentment, depression, self-pity. It is thus obvious that cheerfulness is curative to the extent to which we can eliminate those emotional reactions. I shall dwell a little longer on the application to interpersonal and social relations. Cheerfulness is an indispensable factor in family life. Much unhappiness, indeed most family failures (separations, divorces) owe their origin to the atmosphere of ill-humour, criticism, demands, to which I have referred. Cheerfulness may be said to be a lubricant of the mechanism of interindividual life, especial1y the intimate relationships of the family. There is an important point about interpersonal relations which has been emphasized by Paul Tournier, one of the pioneers in the new humanistic medicine. It is that it is necessary never to assert that one is right, and above all when one is or believes that one is right. Tournier says “To be right is dangerous, it has ever been the source of all intolerance.” I strongly recommend this valuable maxim. When one is in the wrong, one can come to terms; but when one is right and asserts the fact, conflict results. To demonstrate to others that one is in the right is in fact to humiliate them; it is to offend their vanity and their prestige, and thus to create hostile reactions. Good human relations in general are generated and fostered by cheerfulness. It has been said “The smile is a very powerful weapon. It even succeeds in breaking ice.” One hears much these days about isolation and lack of communication. Well, a kindly smile can help to demolish artificial barriers built by distrust, suspicion and fear of being misunderstood. Cheerfulness, and humour in general, should be constantly applied in the teaching of all subjects. Lessons-and this is particularly true in secondary schools-are too often given in such a way as to make a bore of what ought to be interesting and pleasant. Everything could be taught in an attractive and even amusing way, thus getting the cooperation of the unconscious, to which ideas must penetrate if they are to be assimilated and kept available. What bores the unconscious does not register. Some text books based on this psychological law do exist, even for mathematics, a subject in which it would seem difficult to apply. But such books are few and little used. Another major department in which cheerfulness should find wide application is that of human relations in social life, especially the “hierarchical” association between employer and subordinates in every field: government offices, the military and business of every kind. This extends to families as well, in which cheerfulness can reduce many conflicts between parents and children. The applications are obvious and do not call for explanation, but I will simply recall a little story which illustrates the consequences of ill-humour. One morning, a Minister had a row with his wife, who happened to have the last word. On reaching his Ministry still fuming, he sent for the Under-Secretary and berated him. The latter, not being able, as a subordinate, to reply, went off in a rage and reprimanded the chief executive, who passed it on to the superintendent, and so down the line until it reached the doorman. Having no one beneath him to find fault with, he kicked the Ministry cat. The atmosphere that day in the Ministry and the way its staff functioned can be imagined. Had the Minister in question availed himself of one of the psychological techniques for discharging aggressiveness, or if he had at least wanted and known how to behave as if he had been in a good mood, the Ministry atmosphere would have been very different. All the employees would have done better work in the nation’s interest … and the cat would have gone unscathed. The moral of this little tale may point out how necessary cheerfulness is in the political field as well. It is disarmingly simple to realize that if all who command had a cheerful disposition, it would greatly help to avoid wars. As a balance to this, however, it is well to recognize and remember the value of each human being and of every activity of his, however humble it may be. This helps us to bring good will and cheerfulness to bear in doing anything, even if wearisome and boring. However apparently insignificant in itself, an activity is in reality as necessary as actions of greater prominence which seem more important. This balanced appreciation and the resulting good inner disposition are well illustrated by the story of the three stonecutters. A visitor to the site of where one of the medieval cathedrals was being built asked a stonecutter what he was doing. “Don’t you see,” replied the latter sourly, “I’m cutting stones,” thus showing his dislike of what he regarded as unpleasant and valueless work. The visitor passed on and put the same question to another stonecutter. “I’m earning a living for myself and my family,” replied the workman in an even tempered way that reflected a certain satisfaction, Further on, the visitor stopped by a third stonecutter and asked him: “And what are you doing?”. This third stonecutter replied joyously: “I am building a cathedral.” He had grasped the significance and purpose of his labour; he was aware that his humble work was as necessary as the architect’s, and in a certain sense it carried equal value. Therefore he was performing his work not only willingly, but with enthusiasm. Let us remember the example of the wise workman. Let us recognize and always be aware that, however limited our ability may seem, However modest and humble our duties, in reality they are particles of the great Life, We are participating in the unfoldment of the Cosmic Plan, “collaborating with God.” This recognition will enable us to accept every situation, fulfill every task, willingly, and with cheerfulness. 1. 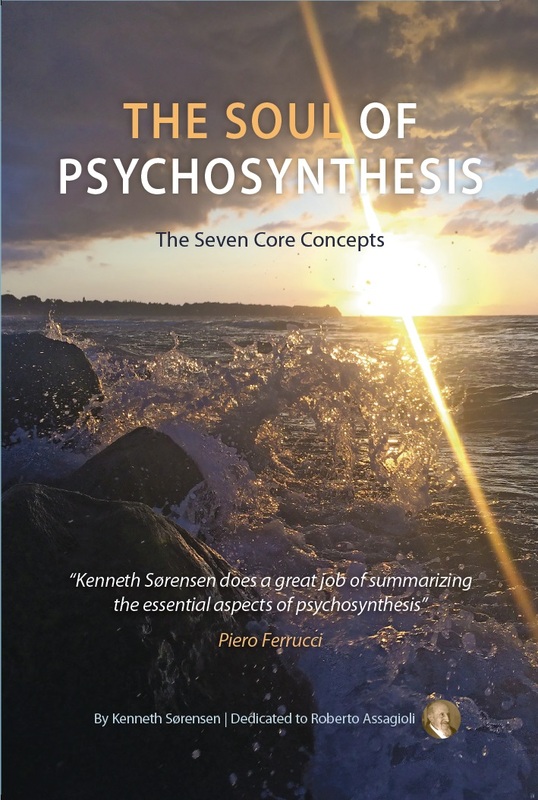 This paper is adapted from a lecture in the annual course of lessons on Psychosynthesis delivered at the Istituto di Psicosintesi, Florence, Italy. 2. 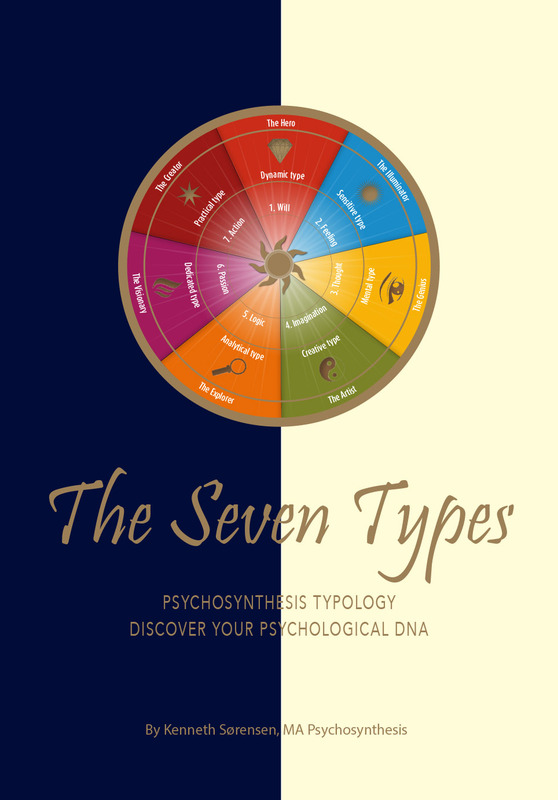 See the pamphlet “The Technique of Evocative Words” available from the Psychosynthesis Research Foundation. *Translated into English as The Betrothed. 1) Relax all muscular and nervous tension. Breathe slowly and rhythmically, express cheerfulness by smiling (It will help to assume this expression before a mirror, or visualize yourself doing so). 2) Reflect on cheerfulness, conscious of its value and usefulness, especially in our agitated modern world. Appreciate and desire it. 3) Evoke cheerfulness directly by pronouncing the word several times. 4) Imagine yourself in circumstances likely to worry or irritate you: for instance, in the presence of unfriendly people, having to solve a difficult problem, obliged to do various things rapidly or finding yourself in danger, and yet keeping cheerful. 5) Plan to remain cheerful all day, to be a living example of cheerfulness, to radiate cheerfulness. This exercise can be done (with appropriate modifications) not only for cheerfulness but other qualities as well: courage, joy, patience, will and so on. This exercise is based on the Exercise for Evoking Serenity published in the book Psychosynthesis: A Manual of Principles and Techniques (N.Y.: Hobbs, Dorman, 1965; paperback-Viking Press, 1971).